Looking for the book-in-a-day series? In 2009 more than 100 words were removed from the Children's Oxford Dictionary. This book is the start of a collection of poems seeking to reclaim many of the words that were removed. 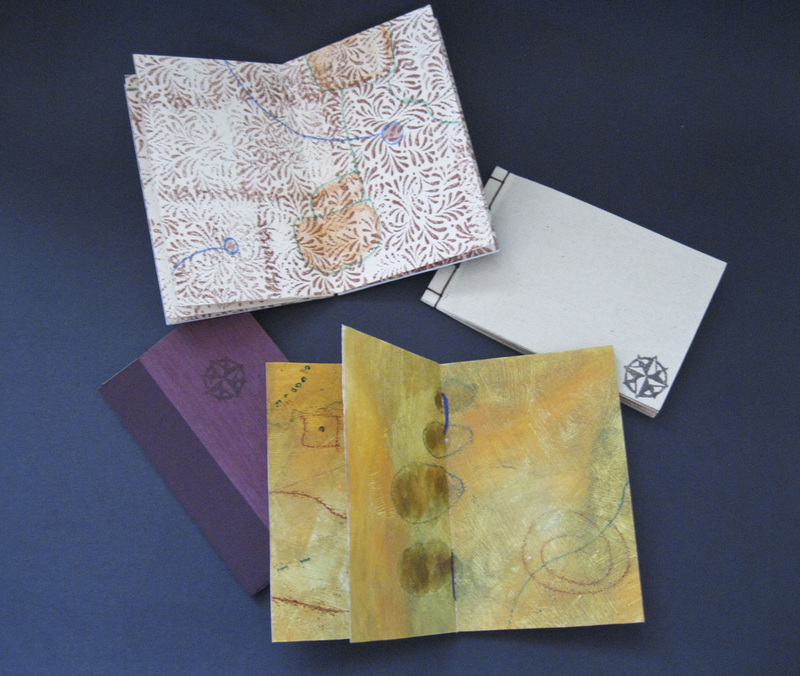 The book is hand-inked, letterpressed using moveable type, and it utilizes the whirlwind structure. 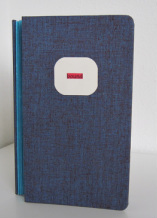 The book is in an edition of 10. 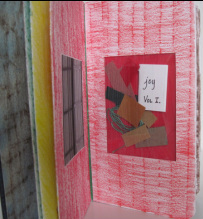 A set of one-of-a-kind books created by Kiala and Jody via postal mail exchange. We used a variety of media to create the books and each took a turn adding to or subtracting from the previous transformation. It took us a year between moving and graduate school, and teaching and life, but it's here and done and it was an amazing collaboration. 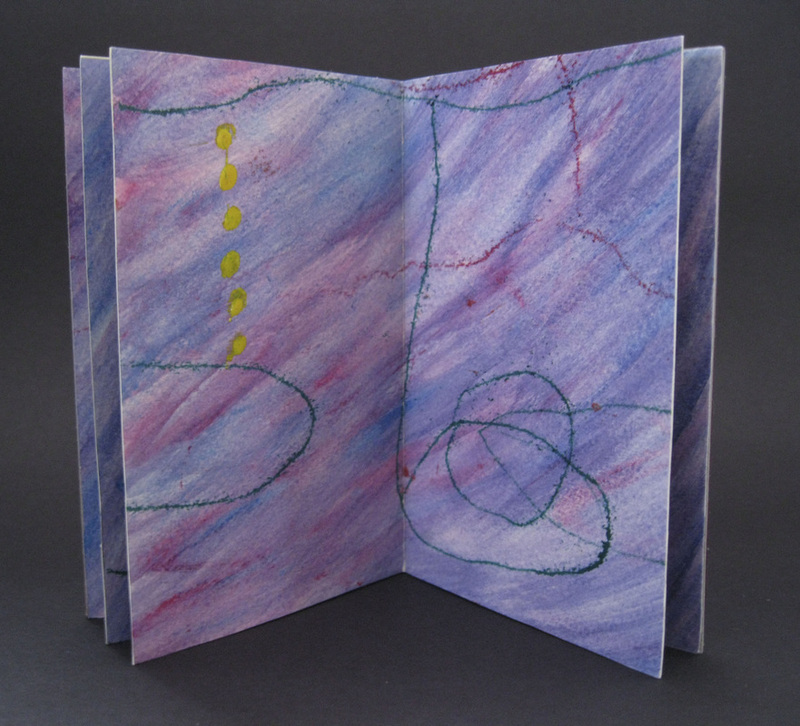 This one-of-a-kind accordion panel book covers the span of one year in my life and explores how text and image relate to one another when the images are abstract and seemingly random. It includes pochoir, original stencils, and original, typewritten text. 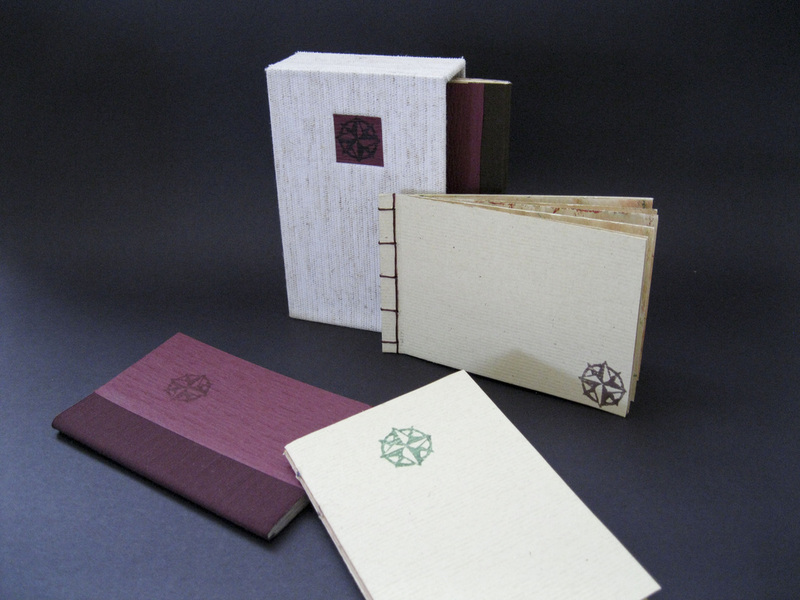 A tribute to my newfound love for book arts -- specifically binding and book structures. This structure was created by Hedi Kyle and taught to me by Julie Chen at Mills College. 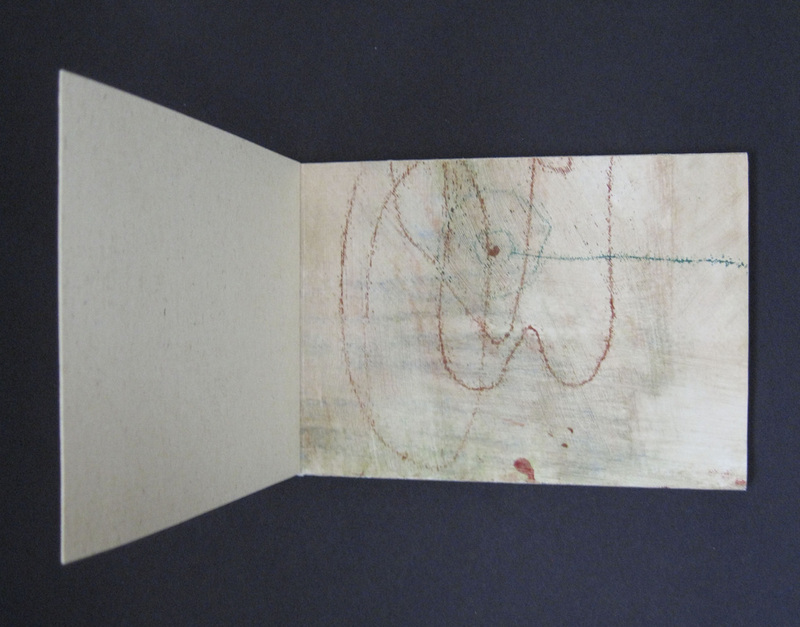 The book includes rubbings from the Bindery at Mills College and pieces of materials used to bind books. This one-of-a-kind book holds several two-letter words that can be used to play Scrabble. It was inspired by the small books carried in pockets and intended to be concealed. The size of the book is perfect for the palm of a hand . This structure was chosen because it lends itself to hidden text on the back side of the accordion. A dream captured on paper. Created using pochoir, stencils, rubber stamps, and card stock. Contemporary Writers Series February 9, 2010. The poem is written by poet, Kyle Schlesinger. Unless otherwise noted, all artwork and images on this page are Copyright © 2005-2013 Kiala Givehand. All rights reserved.